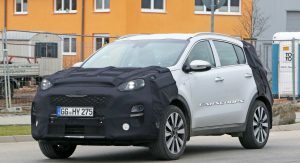 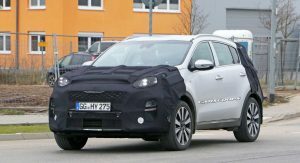 Kia is preparing the Sportage for its mid-life facelift in Europe, which apparently will include more than just a few visual touch-ups. 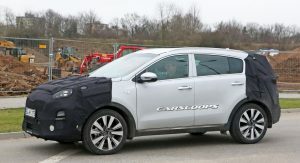 The Korean carmaker is planning to debut their new 48V mild-hybrid technology with the facelifted Sportage and the all-new Ceed, which is set for a reveal at the Geneva Motor Show. 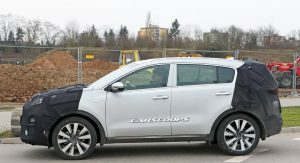 Meeting the latest emission regulations is the key factor behind this decision but Kia believes the demand for such systems is only going to get stronger in Europe. 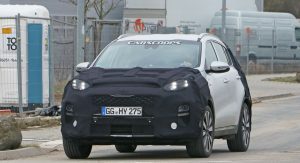 Visually the updated Kia Sportage is going to be adapted to the company’s latest design language. 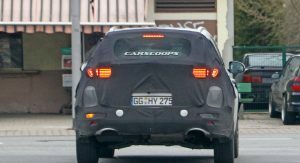 That involves moving the DRLs into the headlights as we can see from our spy shots while the front bumper will also gain a sharper look. 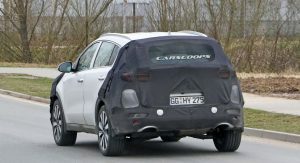 The changes on the rear end are expected to be smaller. 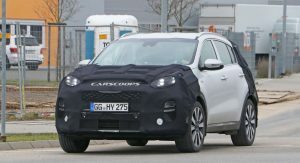 A pair of redesigned LED lights and a new bumper, along with new trim pieces are expected in order to make the Sportage look more modern. 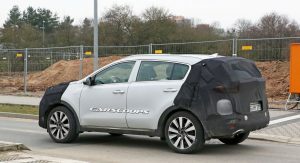 As for the rest of the engine range, there isn’t much information about what’s going to be changed so far. 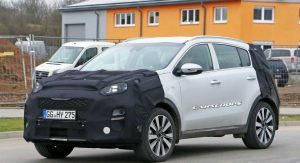 The current Euro-spec Sportage is offered with a range of two petrol and three diesel options. 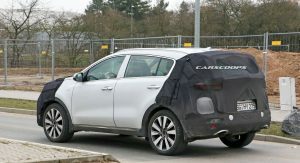 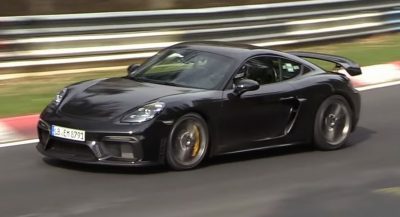 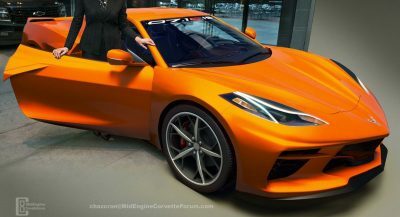 The interior is expected to feature a better infotainment system, perhaps with a bigger display, while the list of active safety systems might gain a few new members. 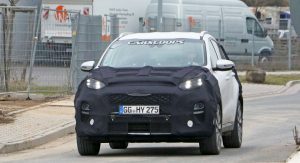 After all, having a 48V electrical system opens the way for semi-autonomous functions too.